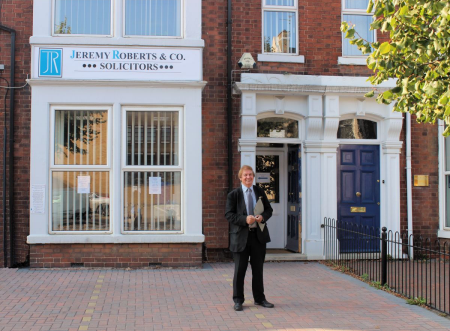 Jeremy Roberts & Co Solicitors was formed by Mr Jeremy Roberts in 1979. The firm is situated in Park Road, Peterborough at the rear of the Broadway Theatre and there is car parking outside. The firm offers a full legal service to all its clients. It is a friendly and effective practice and its strengths lie in its effectiveness and efficiency in dealing with a large number of matters. In particular the firm has considerable expertise in dealing in Employment Law, Matrimonial Law, Personal Injury, Probate, Conveyancing, Criminal Defence and also Planning Matters.